1. GRP Ltd: The company has posted a mixed set of results. The turnover has increased 20% while the net profits are down 30% compared to last year. On the face, the things may not look good but I think are results are not bad as the company had undertaken an expansion which started production from current quarter only, and hence the fixed costs would have been higher. Also, during FY12, the previous year, the company had the above average margins. Our view on GRP is from a much longer perspective. We feel that it is a high quality company which has had a fantastic past track record and can recurringly grow at 20-25% for next few years. 2. Astral Poly: The stock has done very well and is up 3 times in about 2 years. The company has posted another set of fantastic results; the topline has grown at 48% from 136 to 200 Cr, while the bottom line has grown just 15% due to the forex losses. We think though the stock looks expensive but it might continue to trade at high PE multiples due to growth visibility of 25-30%+ for next few years. The company is undertaking a major branding building and the same might be soon seen in Dabaang 2. 3. Welspun Syntex: The company has come out with an excellent set of numbers and the stock looks undervalued at current levels. Due to the sector’s highly cyclical nature it is very tough to predict the earnings and we would avoid for long-term investing, but we feel there is an opportunity for a medium term as the sector is coming out from a very bad phase, and the companies with a stable balance sheet and decent growth can do well. Another idea on similar lines is Salona Cotspin. 4. Kakatiya Cement: The company has come out with a weak set of results and the profitability has been affected due to the problems in their power segment. Though the stock is still statistically cheap but we feel that over a longer term the stock may be a value trap as there is hardly any communication or efforts from the company on the growth part. We suggest an exit. 5. Balkrishna Ind: The company has yet again posted an excellent set of numbers and continues to beat the expectations. The topline has increased by 30% and the net profit is up by 95% (if we remove forex gains, the net profit is up by about 65%). The stock looks undervalued at these levels. 6. Mazda Ltd: The company has posted a very good set of results; the topline is up by 32% and the net profit is up by 92%. Being a project company, though the growth might be on higher side, but the valuations are very cheap and if the company is able to maintain 20-25% growth, the stock should do well too. Currently the stock trades at just 4 PE and is below book value. The company is also debt free and with cash on the balance sheet. We feel it is a buy at current levels. 7. Oriental Carbon: The company has come out with ok results. There were indications of a slowdown in the sector and hence the company has not been able to utilize the new capacities. The good thing is that as per the notes to accounts, the company expects the approvals to come in and the things to improve. We too feel that the things could improve in about couple of quarters and the company may start doing very well. The stock continues to look undervalued. 8. Atul Auto: The company has posted another excellent set of results. In-spite of the slowdown in the auto sector, the top-line and the margins have grown well and in the month of October, the company has delivered a growth of about 30% and if the same is repeated, the stock should do well. 9. Others: Muthoot Capital, Avanti Feeds and IFB Agro, all have posted good quarterly numbers. We continue to look forward to your inputs. In the mean time enjoy this festival season. Wish you all very happy and prosperous Diwali.Thanks for your valuable investing suggestions. Happy and Prosperous Diwali to you and everybody who read this blog. Thanks for all your help support to all Value investing community. 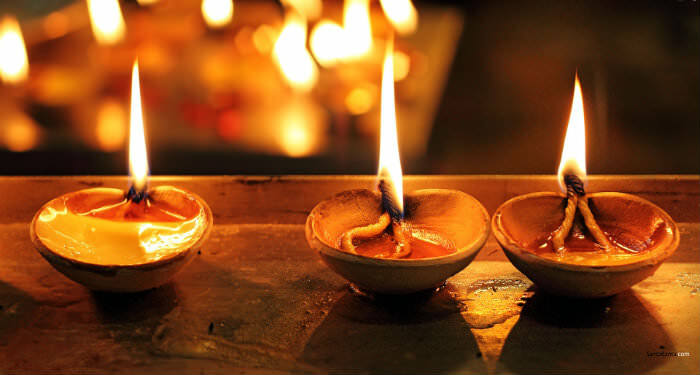 Happy Diwali to all…..Let the light of knowledge shine bright by spread all across. happy Dipawali !!!!….. Keep up the good work. God bless!! Thanks everyone for the wishes. All the very best wishes to everyone. Happy n Prosperous Deepawali to everyone:-).. Ayush eager to know your views on Sandesh ltd.. And does it has a moat..? Thanks and all the best wishes to you too. Sorry, don’t track Sandesh. Hi Ayush, any update on piccadilly agro. The company has delivered 2 continous good qtr results n fundamental ratios are also good but stock price is not moving up. Is there any bad news awaited. Did u guys get a chance to meet the management. The nos are not good considering the performance the co had been doing earlier and hence the low price. If the co continues with the current performance, it may not be a good idea to hold on. We meet few cos/mgmt. Our main focus remains on fundamental analysis based on the results, annual reports etc. Do you track India gelatine. Is it better to have instead of nitta gelatine & narmada Gelatine ? India Gelatine has been doing very well but we had picked Narmada as it has had better consistent past track record. What is your view on Torrent Pharma. Can this be the next Divis or Wockhardt. Can we compare its facilities with these 2 companies. Or do you have a better pick than Torent Pharma. We don’t track torrent pharma that closely. We like Smruthi Organics & Shilpa Medicare in pharma….have a look at them and share your views. What is the opportunity size for GRP? Isn’t Indag rubber better than GRP? Based on our research, the opportunity is quite big for GRP as compared to Indag. GRP aims to be a 1000 Cr turnover co in about 5-6 years. Do you follow Wimplast? Any view at current price? Is PE of 8 high or low or reasonable for this stock? We do follow Wimplast and had made some positions recently and also mentioned about the same at our blog. But took a exit after a quick upmove. Its a good company and consistently doing quite well. Do you guys track butterfly gandhimathi appliances ? Seems to be a good one . Has good business ion South india and is a partner for Indane gas agencies. maintain a hold on this. Is this a good time to enter astral poly technic after the recent correction ? It really depends on ones investment horizon and individual understanding of the potential here. I think its an individual call. In menus, it will show-up when you will click on your user id on top right. Hi Ayush, Can Welspun Syntex be bought at current levels, which was your earlier reco? Please advise. Thanks. Just came across your blog few days ago I must say its brilliant. even the audience and the questions asked here are so enriching. I am hooked on and have been reading a lot. Even the Screener tool is so awesome. I am a techie by profession with a keen interest in stock markets, and I love it when the website is so light to use. I have just one comment – it would be very beneficial if you include the dates in your posts so its easy to know that the post is new or how old exactly. The only way I could make out that now is when i see the comments and it says 6 hours ago / 8 months ago. Dates would help a lot in checking the relevance of the advice given here. Also I would really appreacite if you could cover Media Stocks. I am big believer in the media story for the long term, and I currently hold TV18, Network18 and DishTV. I intend to add more and would love your take on the value stocks in this sector and which has potential to grow. Nice idea about adding the relative dates. I have it just under the title of each post now. We have taken some exposure in TV Today to understand things.